Precision Board HDU Sign Board (also referred to as Foam Board) is the perfect sign material for creating amazing signage. It’s easy to work with, easy on the environment (including the one in your shop) and durable, so it will show off your creativity and craftsmanship for years. Check out our Sign & Model Gallery and get some creative ideas or submit a project you’ve made with Precision Board Sign Board. Lasts much longer than wood. View our sign board written Life of Sign Warranty. From rugged and simple to intricate and elegant, Precision Board HDU is easily machined, carved or media blasted to create the design of your choice. 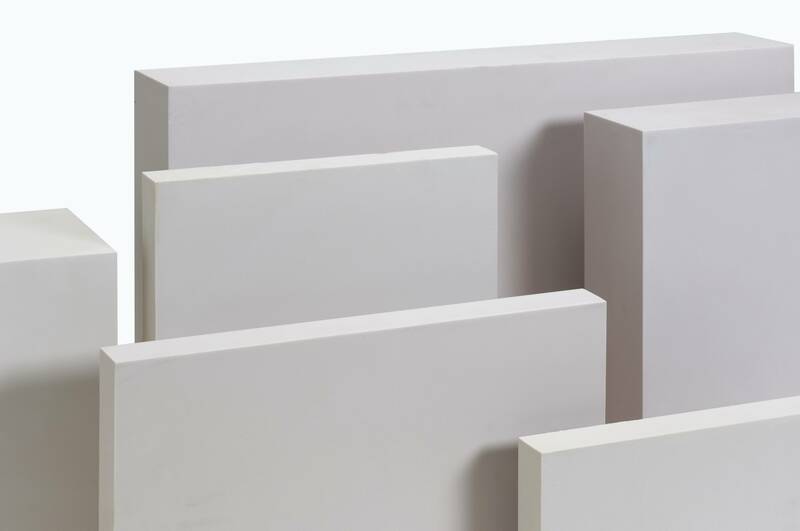 Precision Board HDU blocks and sheets can be bonded into the general shape of your sign or sculpture to get you closer to your final shape, saving time and material. Or save even more time by letting us do the bonding for you. Learn more about our Custom Bonding Service. Our PBLT line of Precision Board HDU is available in the widest range of densities to match the performance requirements of your sign project. Coastal Enterprises offers a full line of companion products specifically designed for Precision Board HDU Sign Board to assist with your project. Check out our Adhesives, Primers & Fillers, Textures & Coatings.